March 19: 5 POWER Lessons From 5 Leaders Who Made History On This DAY! When you dream to achieve and walk in the line of progress, the pills of empowering guidelines radiated by the lives of the following true leaders would surely make way for you to hug the peak of success. Have a look at each of them! 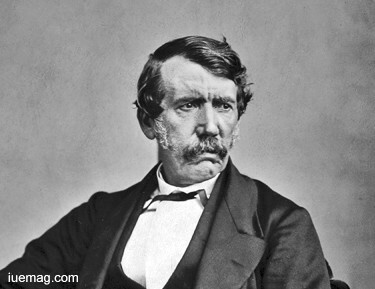 David Livingstone formulated success by treating others’ problems as his. He looked at the society as his family and tried to improve it by dedicating not only his change-driven thoughts but also his deeds. Creating a difference and bringing about a change were his most significant objectives for leading life. Understanding the importance of living for others, erasing the negativities around and uplifting another person’s life, he engaged entirely in fulfilling his mission of making this world a better place. A unique ideology of converting mythical and fantastic views into a tool to change the present of his time helped him greatly in achieving what he dreamt of. The Congregationalist as well as an explorer, who pioneered medical missionary with the London Missionary Society remains one of the popular national heroes of Britain. The provoker of positivism was an avid inspirer whose life thoroughly inspires every mind who wants to make a difference; he supported, promoted and worked for numerous subjects dealing with abolition of slavery and racism, reformation, commercial and colonial expansion. 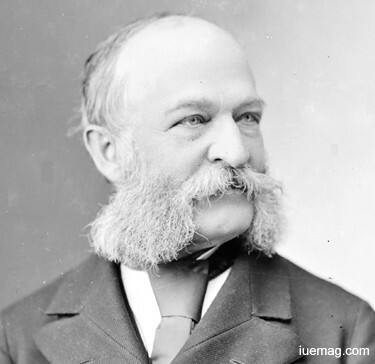 Influential missionary, traveler and philanthropist made it a goal of his life to pronounce effort to accomplish what he advocated. Learning and gaining knowledge to uncover the hidden secrets of nature and to integrate his desires to pack the world with all the requisites which constitute to his dream planet enabled him to set a sensation to his tracks for the world to follow. Having worked 14 hours a day in a cotton mill during his childhood, he went in the line of stopping the evils prevailing in the society, revealing the unknown facts, mysteries and learning something new at every point in life. Passion directs you to your destination. However, it is a critical abstract dwelling in each of us which decides our way of life. Passion may be anything; it could be your dream or your aim. What matters is how well you’ve understood yourself to arrive at conclusions regarding your passion. Risk, struggles, worries and criticism creep into your way even if your decision is right. This is because growth is never easy; your strength and determination to handle all of what comes to you without blaming anyone, filling your mind completely with faith and withstanding every tough situation by a bright ray of hope, truly act as the most effective formulae towards success. 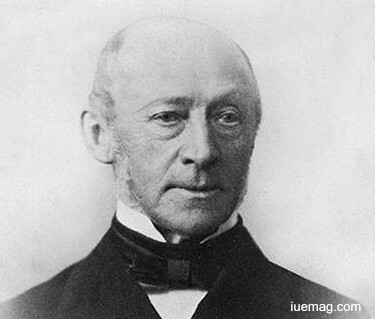 Called the first modern capitalist in Denmark, his wisdom and courage in him enabled him to successfully give rise to the first real modern investment bank private bank. 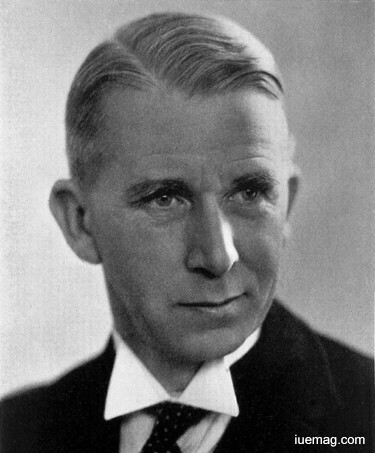 His role in curator of bankruptcy, labeled him as the promising and remarkable business man who introduced cheque to Denmark. This undeniable fact serves as the base for the following achiever’s journey to begin. Lieutenant Colonel Robert G. Cole gifted his story to the present and the future to help the people learn the importance of stabilizing our dreams and considering them to be the reason for living our lives which we are blessed with. Being yourself truly stands important when it comes to creating your identity and showing people a way to reach where they want to. Holding determination as a default weapon, the soldier won the Medal of Honor for all his struggles against D-Day Normandy invasion of World War II. The leader strived hard to establish courage in every mind which made up the war force. Falls at every stage in his journey raised him as his intention was to learn and correct all of what caused him fall. Regenerating the positive aspects of your life to invoke bliss, grace and happiness is possible through the qualities of strength and patience. The unwavering leadership abilities, bravery and attitude of accepting and facing all that came his way made him shine significantly as a leader and guiding element to make the world achieve what it wants to. 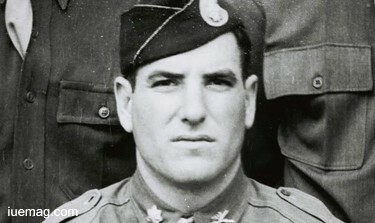 Starting as a 501 Parachute Infantry Battalion, earning his jump wings, he ranked up from a Second-Lieutenant to a Lieutenant-Colonel. No matter how high your qualifications are or how long your profile is, inventions don’t take form unless an inner hunger to learn arises in you. A start to the era of your talent need not be put on hold as the only and exclusive requirement for proving yourself is the fire of passion which is a result of persistent interest and strong desire. What introduced Sir Norman Haworth to the peak level of success was his attitude of consistent and constant exploration in his dedicated stream. Standing as a definition for a guideline regarding the way to achieve, he is indeed an idol for all the dreamers and budding accomplishers. The Nobel Prize awardee for his exotic work on ascorbic acid (vitamin C) received his formal school education only till the age of 14 and entered a world of linoleum design and manufacture. During this learning process, he gained interest in chemistry and further widened his prospect by capturing all the ways which would fulfill his hunger to know more. Haworth was soon chosen to be the Professor and Director of the Department of Chemistry in the University of Birmingham and become the Dean of the Faculty of Science and acting Vice-Principal too. Sir Norman was active when retired, serving on many Boards and Committees. He unconditionally contributed towards working out the correct structure of a number of sugars which further authenticated his character of elegance. The world is huge in every sense; it is understood that exploring what is there in it requires more than a life time. We get introduced to what is really ours only after a clear introspection and trying out all that comes to us without hesitance. It is one of the core ways to know your strength, allowing you to lead a life that helps others to lead and mold their lives based on the lessons your life leaves them with. William Morton Wheeler, an American entomologist, myrmecologist and Harvard professor never found his interested domain at one short. Discovering what really suits you enables you not just to understand yourself but puts you through a process of learning. The lessons you get to learn portrays your further growth as a complete individual striving hard to reach the destination waiting solely for you. Your thirst orders the opportunities and ways to reach you by virtue because that’s the power of mental attraction. Similarly, a visit by the Ward’s Natural Science Establishment with specimens for the museum offered a chance to Wheeler to work for Ward which created a start for the achievement of all his dreams. Concentrating on embryology and entomology, he always retained a strong interest in broad aspects of biology and thus become a curator of invertebrate zoology. Sometimes, though our decisions are right, we may not be able to implement it effectively. This may be due to the lack of guidance and support. The power lessons portrayed by these leaders would have fetched you the necessary dose of motivation for you to start and the guidance you need while you’re on it. So then what’s the wait for? Go ahead and rock! Any facts, figures or references stated here are made by the author & don't reflect the endorsement of iU at all times unless otherwise drafted by official staff at iU. This article was first published here on 19th March 2017.